That was the note that I left on the table for the kids to discover this morning, along with a selection of flat pieces and a big board. I heard Morgan read the note out loud and then I heard a collective groan. I was hoping a little Lego challenge would be fun. I was hoping it would spark their imaginations and encourage them to look at Lego in a different way. 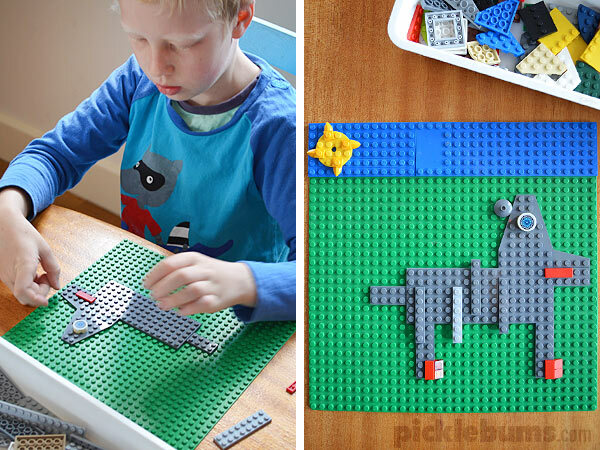 I was hoping all the time I spent digging out flat pieces of Lego last night would not be a total waste! Once they got used to the idea, my kids totally ran with it and came up with some amazing creations and constructions. Morgan quickly picked up the idea of using the Lego to make pictures. 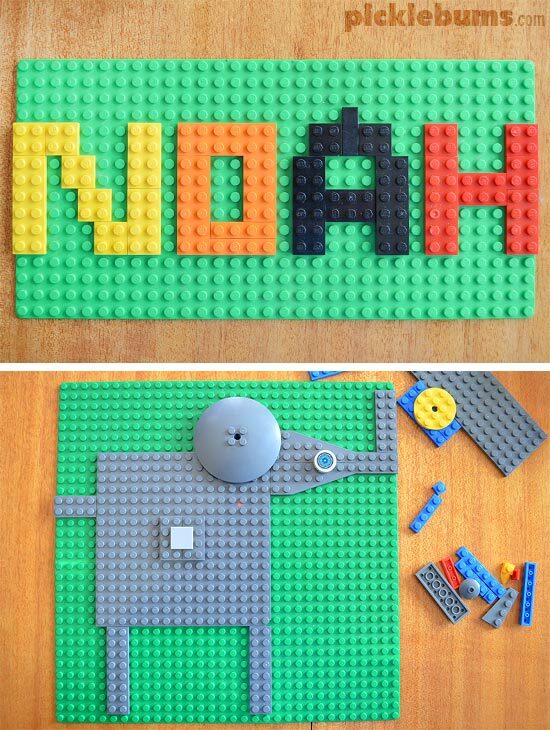 Noah spent most of the day working on his fine motor skills and spatial awareness, finding pieces to fill in entire boards, making Lego mosaics. 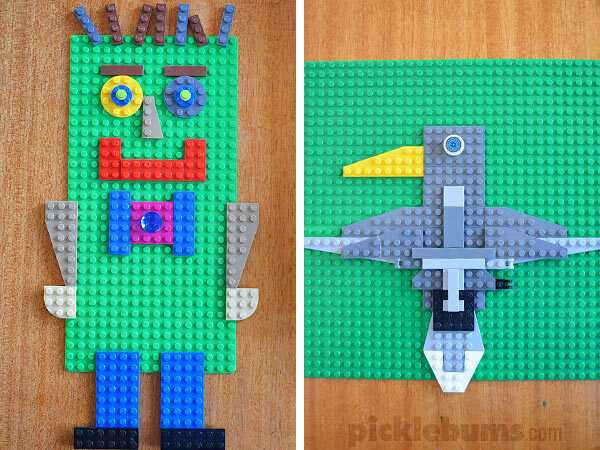 One little challenge sparked a whole day of interesting constructing and creating! 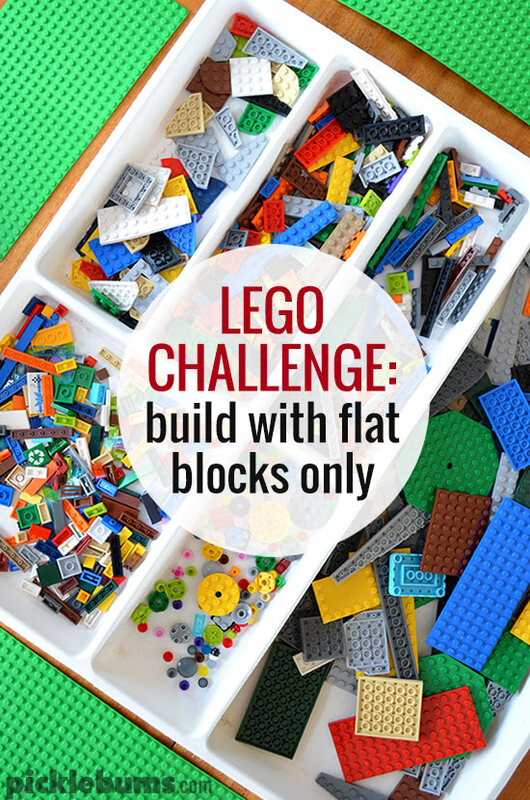 What would you make if you could only use flat Lego pieces? We wouldn’t stay all flat, I think — still build towers and bridges and such… a landscape maybe. This is very clever! I like how the flat pieces turn into pictures – more than buildings! Interesting activity to try for sure! What a great challenge Kate! I love what they came up with. 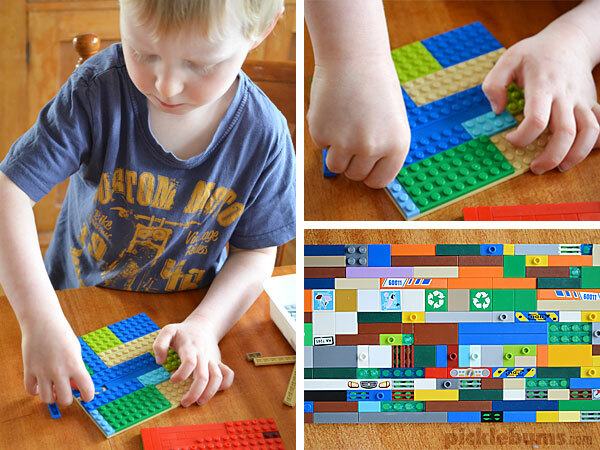 My son and his cousin decided to fill a big Lego board with all flat bits recently, it took them ages (this was great for us – I think it was at our Christmas lunch!) and they worked together so nicely to find all the right sizes to fit. I will have to show them this post at our next family gathering! What a great idea! I’m going to add this to my idea list for one of our Leqo Quests. Thank you! They have a huge section at the Kids LegoFest for building mosaics with only those tiny flat squares! It’s one of the most popular areas there. It’s so awesome. We spend a long time doing that at each event. That sounds so cool! Imagine just having buckets of squares to create with! 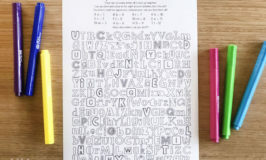 Have been reading your site–so fun! and creative thing the kids had. The grandchildren get it out when they come. I think ours is 40 years old . Still cannot walking by a lego store without going in. The best to you & your family in the Life you share.